There’s an intimacy unique to radio that allows each of us the privilege of having someone speak directly into our lives. And that’s what June Hunt, founder of Hope For The Heart, a worldwide biblical counseling ministry, has done for the past 20 years – offered God’s hope and healing through her award winning program Hope In The Night. What first ran on 23 stations on August 12, 1996, has grown into a live one-hour call-in counseling program. Today, Hope In The Night is carried on more than 300 stations across the U.S., has two overseas broadcasts, and streams on two Internet sites, offering biblical hope and practical help to thousands of callers and millions of listeners. 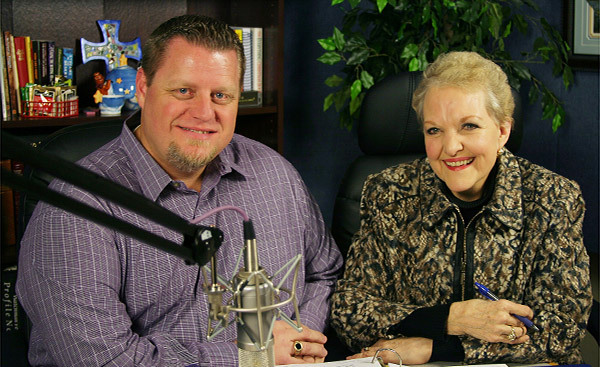 Whether you’re tuned in to Hope In The Night or a caller who is desperate for answers, you can’t help but listen intently as Hunt, along with today’s co-host Rich Hooper, compassionately share wisdom from God’s Word with callers who are dealing with a number of life’s most difficult problems – issues like alcohol and drug abuse, anger, divorce, reconciliation, abortion, domestic violence, homosexuality, loneliness, self-worth, teenagers and more. Listeners are often compelled to pray for the caller and reflect on how to apply the steps to solutions and renewed hope in their own life. As a way of honoring Hunt and Hope In The Night, the ministry is encouraging those who have been impacted by the broadcast to write a brief note of thanks, telling June what the broadcast has meant to them. Thank you notes can be submitted online through August 31, 2016, at www.HopeForTheHeart.org/night or mailed to: Hope For The Heart, P.O. Box 7, Dallas, TX 75221.